As Batman movies continue to be produced, the franchise is starting to run out of villains. 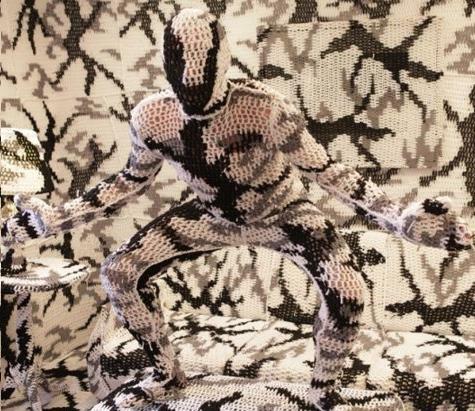 Pictured here is a prototype of "Mr.Yarn, The Crocheted Crusader of Chaos," during an audition recently. "He could blend in with backgrounds with a little bit of planning and would appeal to elderly women, too," stated executive producer Michael E. Uslan.